Downer has partnered with the Sydney Opera House to create Badu Gili. Badu Gili is a spectacular light installation which takes place daily at sunset. 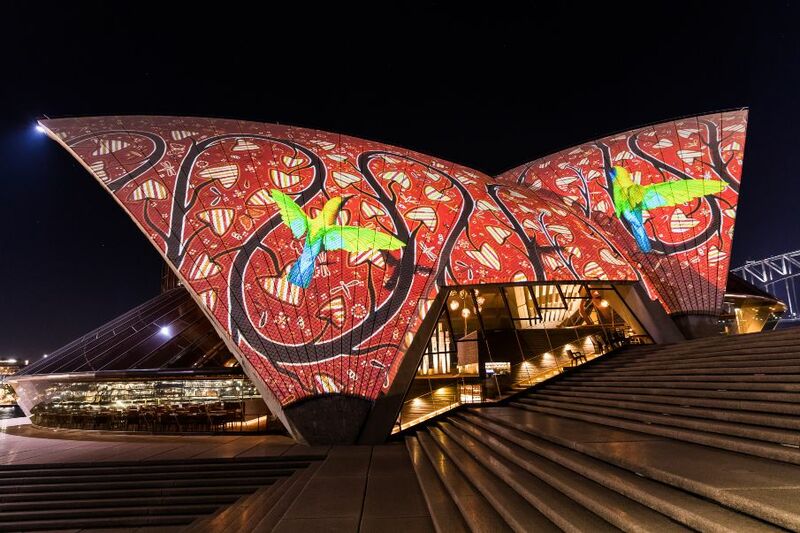 Downer worked in close partnership with the Sydney Opera House, designing the installation and coordination of the projector, steel fabrication and cabling network for the lightshow. Badu Gili continues the traditions of Bennelong Point, formerly known as Tubowgule, which has been a meeting place for the local Gadigal people for thousands of years. Sydney Opera House, Project Manager, Samantha Swain said: "The Sydney Opera House has a longstanding relationship with Downer. The project team did an outstanding job to work within the existing site constraints and deliver the infrastructure for this project, we are very pleased that we were able to meet such a significant launch date." Badu Gili was launched to coincide with the 50th anniversary of the 1967 Referendum, on the eve of NAIDOC Week and the Opera House's world premiere of Bangarra Dance Theatre's new production, Bennelong. Congratulations to our Operations, Maintenance (OM&S) and Services Central NSW team who delivered a great result for Badu Gili and for their innovative work with the lightshow.